The local ASGC has been awarded the main construction contract for Emaar’s Address Harbour Point project at Dubai Creek Harbour. Located on Creek Island Dubai, the project comprises two towers of 65 and 53 storeys. They will include 202 luxury rooms with one, two, three and four-bedroom configurations, and four and five-bedroom penthouses on the upper levels. ASGC says it has already started construction work. The consultants working on the project are the local office of KEO International Consultants, Hong Kong’s Steve Leung Designers and US-based Cannon Design. Abu Dhabi-based Trojan General Contracting started work on the contract to build the 17 Icon Bay project for Emaar Properties at its Dubai Creek Harbour development at the end of last year. That project involves building a 43-storey residential tower with about 300 apartments in the Central Park neighbourhood. Emaar is building a range of towers at Dubai Creek Harbour. Last year, the Dubai-based developer said there were 28 towers under construction as part of the first stage of the Creek Island. The centrepiece of the Creek Harbour development is The Tower at Dubai Creek Harbour, which is designed to be the world’s tallest man-made structure. 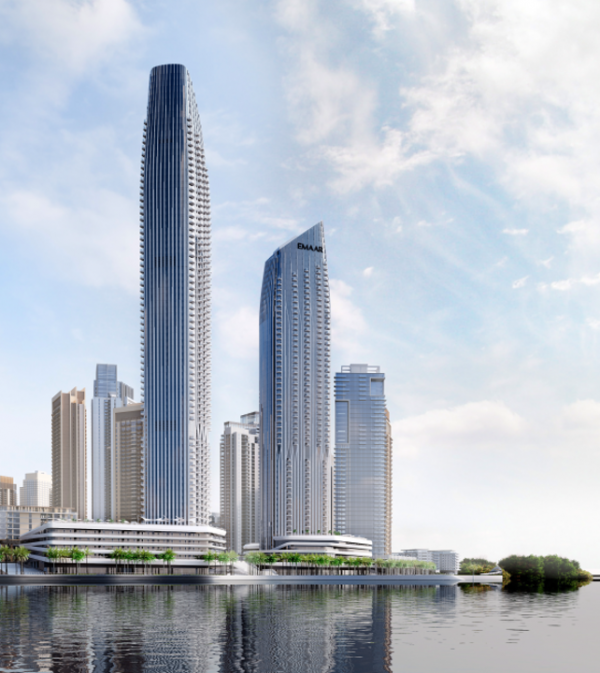 However, Emaar is not yet ready to award the estimated $1.5bn superstructure contract for the tower’s construction as it is focusing its efforts on other projects at Creek Harbour, such as 17 Icon Bay. The project also includes the recently renamed retail centre Dubai Square. It will be linked directly to the Dubai Creek Tower and will have more than 750,000 square metres (8.07 million square feet) of gross floor retail space. It will also include the Middle East’s largest Chinatown.